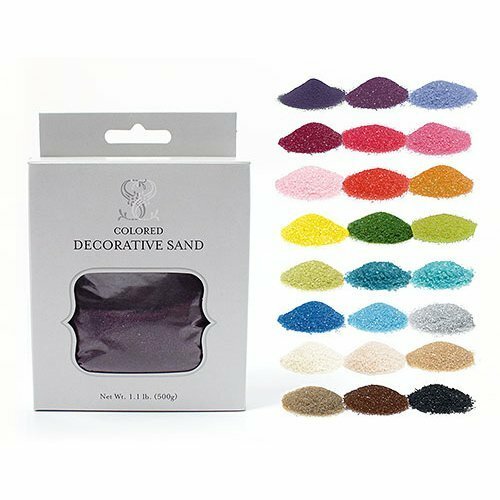 Use our beautifully crystalline quartz colored sand for sand ceremonies to fill your unity vases, add to a table centerpiece or use as favor fillers. A sand ceremony has become a popular alternative to the unity candle. Couples have used the sand ceremony as a powerful way to symbolize their love and commitment to one another in marriage. This sand is also great for beach-themed events. You may accent your decorations with one (or more) of the different color options. NOTE: Champagne and Chiffon Yellow are Discontinued. Sold in 1.1 lb (500g) boxes. 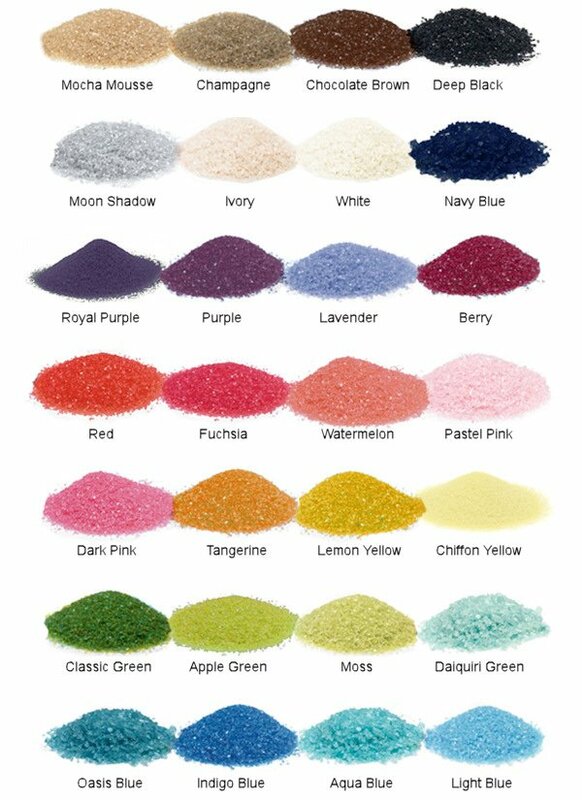 Each sand color must be ordered separately. Note - This item includes a personalization, color, size or design option: Sand Color (View Colors) (Free of charge). You may specify this information during our checkout process. I need 5 different colors but it doesn't seem to have that option when I try to purchase the sand ceremony. 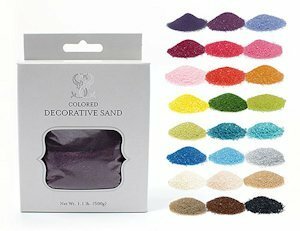 If you want to buy 5 different colors of the Quartz Colored Sand for Sand Ceremony, you will need to add it 5 separate times in your shopping cart.